To have cried at the end of Me Before You by Jojo Moyes. Haven't read it yet? You should. To be in disbelief that my son turns 12 on Sunday. He's all, "Next year I get a Facebook! But some kids my age already have one." Thanks rule breaking parents. That's super fun to explain to my son. To have not really watched the Olympics. I did like the figure skating part. But the rest is not really entertaining to me. To be really excited when my kids bring Scholastic Book Orders home. I think I'm more excited than they are. I'm all, "Let's get THIS one...and THIS one.." I love books. When I was younger I always had the most books ordered. To really hope Natalie doesn't hurt herself this week. She managed to fall on her face last Saturday. More on that in Thursday's post. She's always been accident prone. Poor kid. "Remember it's mine though," Natalie said. "I gave you life. Therefore I can use the uni-kitty cup whenever I'd like," I answered. Me Before You was awful and wonderful and also? Awful. I hope Natalie grows out of the accidents! My brother was lije that, and he grew up to be a scientist, so there's hope! I also ugly cried at the end of Me Before You, didn't really watch the Olympics, miss book orders as my children no longer receive them, and am counting the hours until Scandal. Sounds like we have a lot in common! I'm so glad Scandal is coming back! I've been impatiently waiting. I will probably link this up Thursday but I love the idea of "its ok"! I am so so excited for Scandal & Greys this week! I am embarrassed to admit I was excited when we did scholastic book fair here at school, I secretly bought like three books! I usually post recipes on Tuesdays but love the idea of this! I ugly cried at the end of Me Before You. I loved that book. The Scholastic Book orders were my favorite! I got so excited and was lucky in that my parents let me have free range to order. "I gave you life"--best mom comeback ever!! I hate it when parents let their young children on FB. There's a reason for the age limit, yo. Kids shouldn't have that kind of unfettered presence on the internet, imo--there are too many creeps out there!! OOO!! Scandal is back! Woot! I haven't watched any of the Olympics- and normally I like the skating at least. I noticed we can watch it on demand and never bothered to tune in because of that. I have no clue what UniKitty is - I guess I'm out of touch!!! I enjoyed the Olympics but I have to say, I'm happy they are over!!! So exciting that Tommy only has one more year before he's a teenager!!! I didn't get into the Olympics either. I kinda boycotted it, but did check to see who had the most medals. I kind of did want to see that USA beat Russia in the number of medals, but in the end I never knew. I just didn't keep up. I can say I am glad it is over though. What the heck is uni-kitty? Does she have an unibrow? From the look of the cup shes some lego creature. Maybe from the lego movie? I used to love the Scholastic book orders when I was a kid too! I always got so many amazing books. Totally helped feed my love of reading! & I am also glad the Olympics are over... I just couldn't get into them this year. I cannot WAIT for Scandal and Greys either! we are having issues with some of those rule breaking parents right now. ugh. funny how they are also usually the "my Johnny would never do that" kinda parents too. I am so excited about Grey's and Scandal! I'm so over the Winter Olympics. I watched like one thing, and I don't even remember what it was~! My kids fight over Uni-Kitty and they haven't even seen the movie! We have one Uni-Kitty and three Good Cop/ Bad Cop ones. And I will admit that I took my kids to get Happy Meals just for he cups!! I agree with MJ. "Me Before You" was awesome and awful! I cried like mad. It was bad!! I meant to tell you on twitter - do you like Ben & Jerry's. 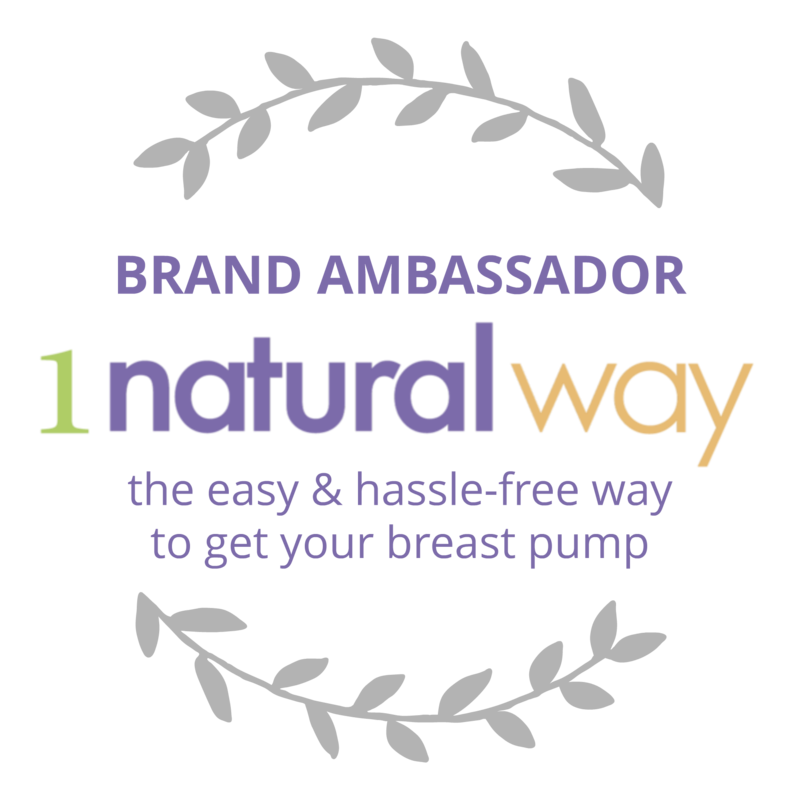 Go to their website if so. They have four or five new core flavors and I went on a goose chase to get two of them last night. I am reading that book RIGHT NOW!! HUSH about scandal! i'm still on season 2 but i love it so much! although kayla is 5, i get the "but so and so has xyz". at 5! i can't even begin to imagine what it'll be like when she's your son's age! I loved to order Scholastic books, and I'm sure I will be the same as you once Stella gets older and brings the catalog home!! And ughh, I am such a sap. I cry at the end of so many books...it's an issue. I used to freak out over the Scholastic catalog in school! Best time of the year! 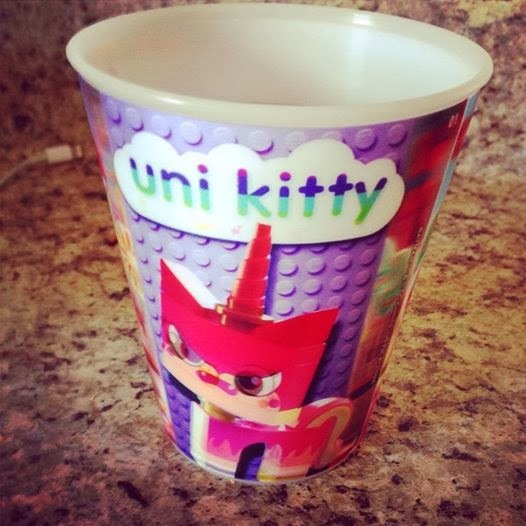 I want the UNIKITTY CUP!!! Bad!!! As a (former) classroom teacher? LOVED bookorders too. except the whole "ordering and collecting money" part. Uni kitty is the only cup were missing here. I'm almost caught up with Scandal! Just about done with the 2nd season!!!! I CAN'T GET ENOUGH!!!! I used to love book orders! I can't believe that Tommy's going to be 12!! I haven't watched the Olympics at all. Yes, it's kind of sad, but I just haven't had the time. We got the Uni Kitty cup too! We also bought a couple of the other cups too. I have 4 boys, so the Batman cup was the hit around here! I need to order more books from the book orders for my kids! I always intend to and then forget. Dang it. Ugh!! I SO feel your pain on the rule-breaking Facebook parents thing. It really is SUPER fun to explain! i could care less about the olympics, scandal, and grey's anatomy! i've just never gotten into those. i appreciate the hard work and dedication for sports, but i never played them and only watch figure skating. Me Before You was so good. My coworker just told me it is going to be made into a movie. That last line about the uni kitty cup, hehe. And I can't believe he's getting FB next year. A whole new level of parenting/monitoring required! You gonna make him friend you? I only watched (and by that I mean watched On Demand now that the Olympics are over) figure skating too. Me Before You made me cry, too. I didn't completely love it, though. Cannot wait for Grey's and Scandal! I think I'll rewatch the last ones tonight so I'm ready. I do hope April picks Avery just b/c I feel like if she doesn't, we'll have to deal with all the awkwardness of them in surgery. Or maybe just b/c I think Avery is adorable. Some of my third grader's friends have facebook and instagram. No, no, and no freaking way. Those age limits are on there for a reason. I have been waiting for those shows to come back too. It seems like they haven't have new episodes for ages. I want one of those cups...for me. Happy birthday to your kiddo. For me it is the thrift stores, that is where I stock up on books, so so many kids books. I do love those orders too, they are dangerous. I used to love book orders from school. They don't do that here, and even if they did they would be in French so that wouldn't work for us. I seriously love this it's okay segment you have going on, oh and totally agree grey & scandal! YAY.